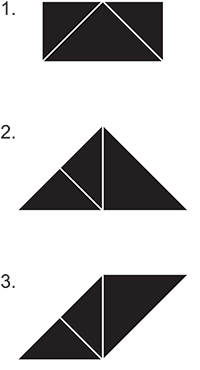 Each player places the 2 small triangles on his/her left and 3 other Tangram pieces (the square, parallelogram and medium triangle) on his/her right. Shuffle the game cards and place the cards face down. Each player rolls the shape die and takes the tangram piece that is shown on the top-face of the die from the pieces placed on his/her right. This is called the rolled-shape piece. Start the timer for 3 minutes. Players take turns to turn the top card over. Each player uses the 2 small-triangles and his/her rolled-shape piece to form the shape shown on the opened card. Player who forms the correct shape within 3 minutes gets a point. Repeat steps 3 – 7 until all the cards have been drawn or as time permits. The player with the most points wins the game! We are only showing suggested formations for the first 3 shapes. 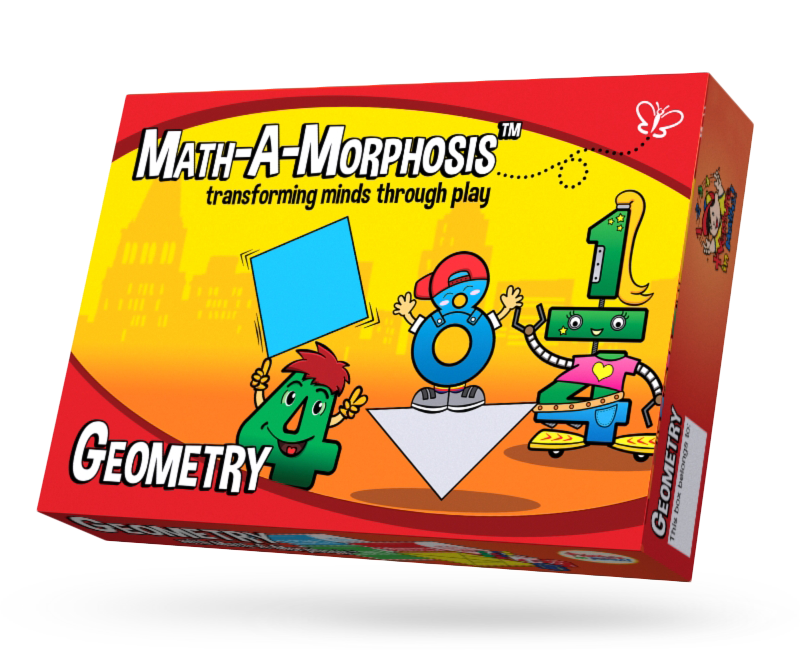 Encourage your children to keep on trying until they figured out the correct formation for the other shapes!